The province is delaying its plans to ban vaping in public spaces, Ontario’s Associate Health Minister Dipika Damerla told CBC News in an exclusive interview. The province was all set to ban the use of e-cigarettes in public spaces, offices, businesses and even in vape shops beginning January 1, 2016. “We hope to bring that regulation into force very quickly and very shortly,” she added. 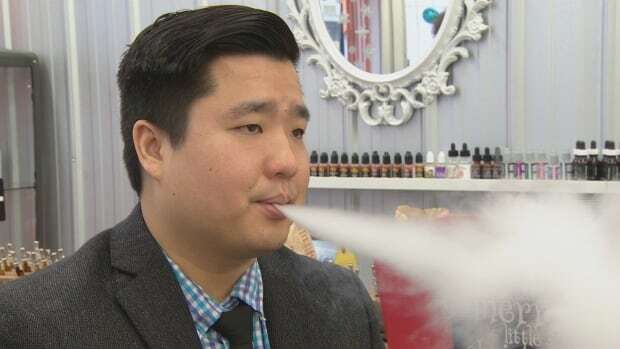 Aaron Lepcha, who owns Kloud Panda, an e-cigarette supply company, feels banning vaping in stores that sell e-cigarettes would drive away potential customers. “If people can’t come into a store and try a product and see which one works for them, it’ll be really difficult to get away from tobacco,” Lepcha told CBC. Charlie Pisano, the co-owner of VapeMeet, agreed with Lepcha. He said people need assistance to use his products safely and effectively. “You need to be shown the safety features that come with them, how to use the liquid, how to choose the right liquid, and the way this bill is worded, there’s no way they can do that without the shops,” Pisano said in an interview at The Ecig Flavourium at Queen East and Jarvis Street. In a statement, Damerla said the province is also “banning the sale of certain flavoured tobacco products and increasing the maximum fines for youth-related sales offences under the Smoke-Free Ontario Act” but emphasized that the government is not banning the use of e-cigarettes.